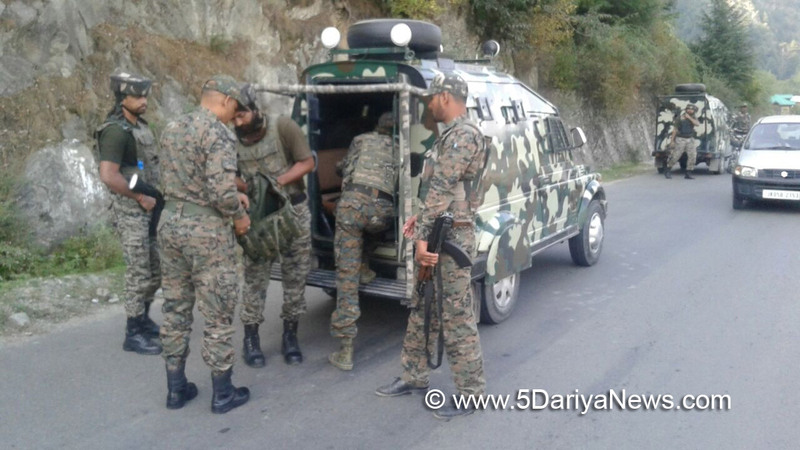 A major terror attack was averted after three Pakistani 'fidayeen' were shot dead in a gunfight in a forested area near the border town of Uri in Jammu and Kashmir's Baramulla district, police said. "All three Pakistani fidayeen terrorists were killed in Uri area of Baramulla district," said a police officer said.Director General of Police S.P. Vaid told reporters here that the slain militants had planned a major suicide strike and their elimination has averted a major attack.Security forces had launched an operation in Kaghi forest area of Uri tehsil on Sunday morning following specific information about a group of heavily-armed militants hiding there.As the security forces tightened cordon around the area, the hiding militants opened fire at the security forces triggering a gunfight.Police, however, have not confirmed whether the slain militants had recently infiltrated into the Valley from Pakistan-administered Kashmir or had been operating here for some time.